Be unique and opt for a single shoulder, also commonly referred to as an asymmetrical neckline, dress for your 2018 homecoming. Single shoulder gowns are making a big comeback and offer a different look to typical silhouettes. 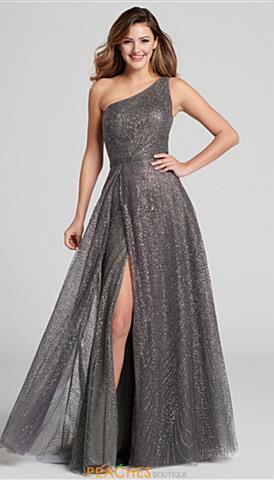 A single shoulder prom dress can have a beaded single strap, an illusion full length sleeve, a fully sequined three-quarters sleeve, or a beaded angled cap sleeve. 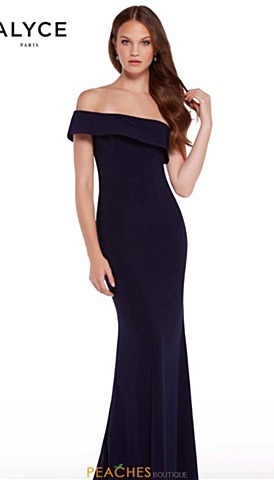 Single shoulder dresses are excellent for girls who are bustier and do not feel comfortable wearing a strapless dress or any girl who simply doesn't want to worry about picking up their bust line all night long. Single shoulder prom dresses typically showcase strappy backs and illusion cutouts on the opposite side balancing the overall look. 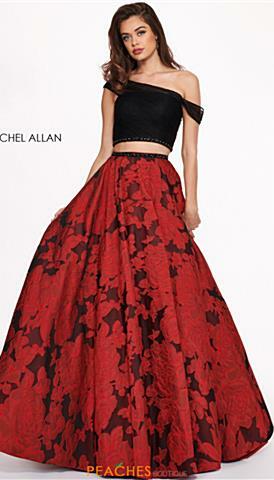 If full length gowns are not your first option, you can select from a series of single shoulder short dresses perfect for any high school dance. Choose your single shoulder gown today and be set for a night of endless dancing. Elegance, poise, and sophistication are a few words to describe the delicate single shoulder dress look. This charming neckline is unique, you wont catch many people rocking this captivating style. The single shoulder prom dress look will bring any styled dress into a state of satisfaction as you realize that the neckline is fascinating in itself and sets a different mood to the design. You can do a lot with a single shoulder homecoming dress look like this, and you wont want to be the one who missed out.